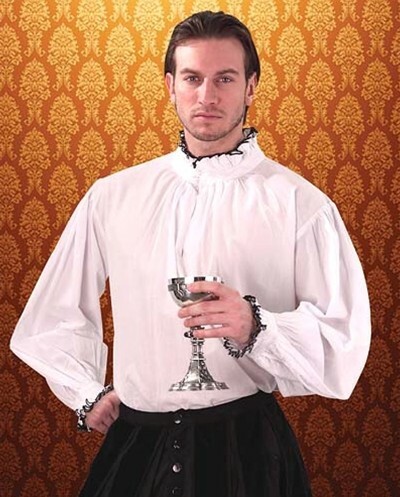 This period shirt is bright, white 100% cotton with a high, black-edged Tudor-style collar and black-edged, ruffled cuffs. Sizes S/M or L/XL. To purchase, choose your size from the dropdown list, then click "add to cart".